1 - What are, in order, the most populated nations today? 2 - Where is the British Island of Diego Garcia, home to a common US-UK military base, located? 3 - The tower below, currently in construction, is the tallest building in the world. In which city is it located? 4 - Before becoming President of Russia, what post did Vladimir Putin occupy? 5 - Where were the 2008 Olympics held? 6 - What was the official Russian court language during the reign of Nicholas II? 7 - What's the name of Germany's lower house of parliament? 8 - Which of the followings is the only country in Southeast Asia that has never been ruled by a western country? 9 - Which language is the mother tongue of the largest number of EU citizens? 10 - Who was Chancellor of the Federal Republic of Germany before Angela Merkel? 11 - Who is Lula da Silva? 12 - Of the following statements concerning the American base in Guantanamo Bay, which is FALSE? 13 - Who is pictured below? 14 - What is the most populated Muslim-majority nation today? 15 - Which of those countries gained its independence definitively the first? 16 - Which Latin American country defaulted (failed to pay its debts) in 2001, provoking a severe economic crisis? 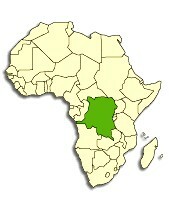 17 - Which African country is shown below? 18 - By which countries was the European Economic Community, the ancestor of the European Union, established? 19 - Who is David Kelly? 20 - How long has Fidel Castro ruled Cuba?